Not to be outdone by other smartphone vendors, OnePlus unveiled that it, too, has a Black Friday deal for US customers. 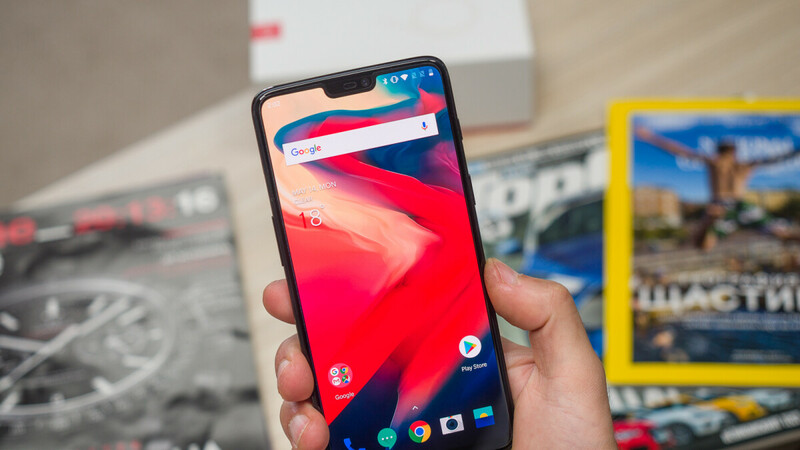 Unfortunately, the deal does not involve the brand new OnePlus 6T - released earlier this month for prices starting at $549. Instead, it's the slightly older OnePlus 6 (available to buy since May) that's seeing decent price cuts. Beginning today, November 20, the OnePlus 6 is $100 cheaper in the US. This means you'll get the chance to pay just $429 (down from $529) for a OnePlus 6 with 6 GB of RAM and 64 GB of storage space, or $479 (down from $579) for a OnePlus 6 with 8 GB of RAM and 128 GB of storage space. If you are interested in the OnePlus 6 with 8 GB of RAM and 256 GB of storage space, this is priced at $529 (down from $629). In case you're wondering, the OnePlus 6 isn't too different from the OnePlus 6T. However, the new model has a more refined design, a slightly larger screen, a battery that lasts longer, and an in-display fingerprint scanner. At the same time, the 6T does not feature a standard 3.5mm audio jack, while the older model proudly has one. For a closer look at how the two phones stack up next to each other, you can check out our OnePlus 6T vs. OnePlus 6 article. Awesome deal for a great smartphone! I may take advantage of this. This is a great deal although I prefer the 6T. I can understand not doing a deal on it just yet. Kudos for oneplus keeping their devices reasonably priced. I can justify $600 for a flagship device with plenty of storage. Only thing is that it's not unlocked for ALL carriers. Pretty good deal. Should get a lot of people on the fence to jump on it. I doubt Oneplus is still making the 6, so they probably have limited amounts for this deal. I wish they could have left it, but at least we get a bigger battery and a fingerprint scanner on the display. It offers a lot of pros over that one con. Well other than not being able to use it on ALL carriers. I actually have both the 6 and the 6T and I prefer the 6. The fingerprint reader is cool on the 6T but in real use the 6 works better for me. I've never had battery anxiety either with the 6 so the bigger battery in the 6T dosent really do anything for my use. The 6 feels smaller too which is nicer imo. I may be a little crazy but I stayed up at night until I could order the 6! I like the look of the 6T better but they are nearly identical internally and I figured this is my last chance to buy a flagship with a 3.5mm jack so I went for it and I can't wait for it to get here!